Priest has been doing quite well in the current meta with a lot of professional players choosing to play Combo Priest in a Dragon Priest shell, or Spiteful Priest in a Dragon Priest shell. For a while a Control version was also floating around that specifically targets Warlocks only. And finally, we have Big Priest, which is still quite strong and it seems like it still is a fully capable deck with Asmodai hitting Rank 1 Legend with it. 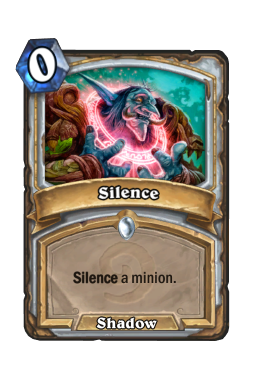 Silence : A card that is quite prominent in the current meta. It can deny buffs and deathrattles of popular minions seen in Paladin on Warlock decks right now. 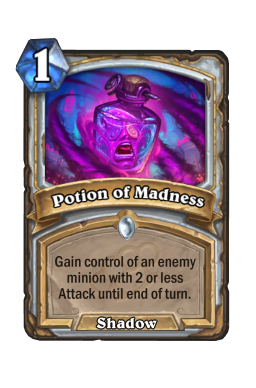 pint size potion: It is mostly a combo card for Shadow Word: Horror and can help you clear out big boards. Against cards like Voidlord , you can use this card follow up with Potion of Madness and Shadow Word: Horror to clear the Voidlord and generate 3 Voidwalkers on your board. This denies your opponent’s N’zoth and death knight value from each Voidlord you manage to shut down this way. Potion of Madness : A cheap 1 mana spell that can force trades between two of your opponent’s minions and clear them out in the early game. It also works well against cards like Possessed Lackey to deny them deathrattle value by trading it into an enemy minion. Shadow Visions : Shadow Visions allows you to search for important spells in your deck and generated additional copies of them. 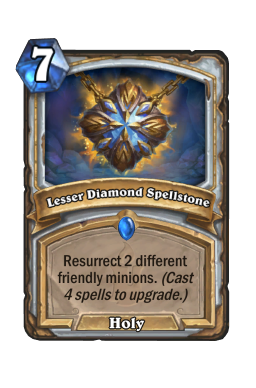 It also has good synergy with your Lesser Diamond Spellstone and can buff it up efficiently. shadow word pain: A basic removal that works great against low attack minions, especially against aggressive decks. shadow word death: Hard removal that efficiently takes out high attack minions for just 3 mana. It is quite powerful in the Big Priest matchup and against decks like Spiteful Priest. 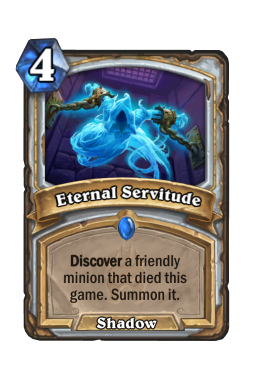 Eternal Servitude : With Resurrect not in the Standard Rotation, we are limited when it comes to the number of resurrection effects we have in our deck and Eternal Servitude does a great job at bringing back exactly what you need after you play your minions or use Shadow Essence or Barnes to summon copies of them. 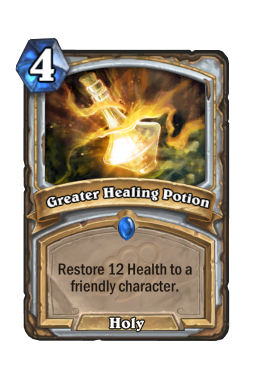 Greater Healing Potion : A large amount of burst healing to keep you going against aggro matchups. The card is particularly good in the Tempo/Burn Mage matchup as you can manage to out-heal through their burn and if you get to pull out an Obsidian Statue in time, you can live through their entire deck’s damage as long you deal with their minions. shadow word horror: One of the strongest cards against Paladin decks as it manages to get past Divine Shields and take their minions out. 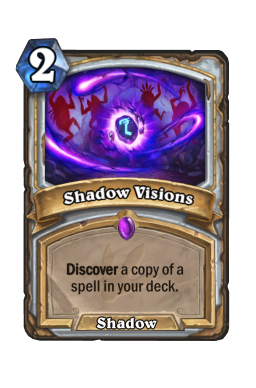 You should try to get more copies of the card in Paladin matchups through Shadow Visions, as they are able to refill their board multiple times. 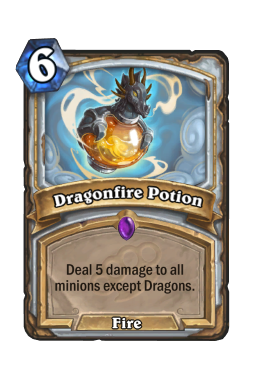 Dragonfire Potion : Except against Dragon Priest, this spell offers a bunch of value against any deck. With all of your minions except Barnes having very high health pools, they can live through the AOE damage and continue providing you value. 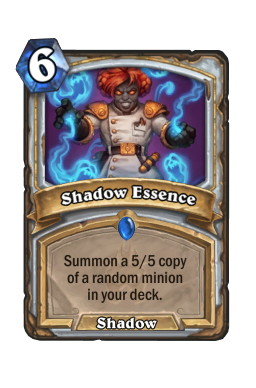 Shadow Essence : The only other means of pulling out copies of minions to be able to resurrect them outside of Barnes in the deck. 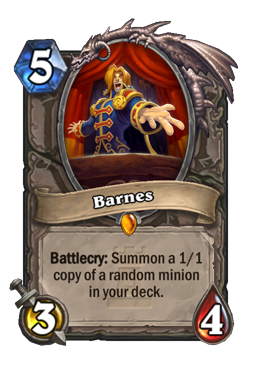 The only bad pull the card can offer is Barnes himself. Every other roll is guaranteed value, specially if you pull Y’shaarj. Lesser Diamond Spellstone : This card alone can swing games around once you upgrade it completely. You should hold on to in your hand to get max value out of the card in Control matchups, while against aggressive decks resurrecting a couple of high value taunts is good enough to win the game. 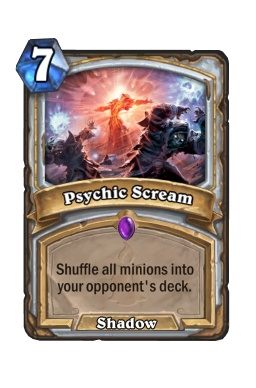 Psychic Scream : It is very good at shutting down big plays that involve summoning a lot of minions together. 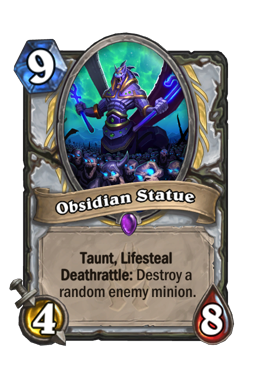 Playing it against aggressive decks like Dude Paladin and putting back a bunch of Silver Hand Recruits into their deck Obsidian Statue : Obsidian Statue is one of the most powerful big drops in the game right now as it allows you to block a lot of incoming damage, heal yourself for a bunch and also destroy a minion when it dies. It has excellent stat lines and can shut down aggressive decks if you manage to cheese it out early enough. Barnes : The most important card in the deck. If you manage to pull the minion with coin on turn 3 with coin or turn 4 without it and have resurrect effects to follow up with – you win the game almost always as your opponents will not be able to deal with so much pressure. The Lich King : A taunt with a large body that can get recurring value each turn it survives. All of the Lich King cards are quite powerful situationally and can bail you out of sticky situations. 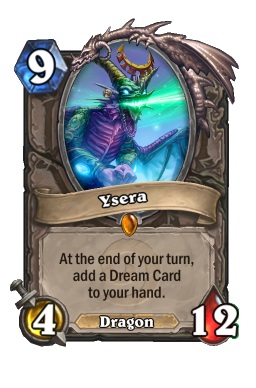 Ysera : Just like The Lich King, the card generates a lot of value if left alive and can help you get more minions, removals and buffs. yshaarj rage unbound: The strongest Barnes and Shadow Essence pull in the deck. The card allows you to thin your deck so you get to your removals and resurrect cards for added value. The goal of the deck is to high roll your opponent with cards like Barnes and Shadow Essence. You have a very limited pool of minions and all of them can bring a lot of value to the table when you resurrect them. You should always try to hard mulligan for Barnes, or Shadow Essence if you do not have Barnes in the starting phase of your mulligan. Other than these two important cards, keep removals that are specific to the matchup. Cards like Shadow Word: Horror are extremely powerful in Paladin Matchups while Psychic Scream is quite powerful against Cube Warlock matchups. You can also do more intricate combos like Pint-Size Potion, Potion of Madness and Shadow Word: Horror against Warlock decks to deny them value from their Death Knight or N’zoth. While the deck is very focused on high rolling your opponents to get wins, it is fairly consistent and with only weeks left until Barnes moves out of rotation feel free to enjoy the deck in its prime! Big Priest is quite good against multiple meta decks like Paladin or Warlock if you play the deck right and have good luck at drawing Barnes or Shadow Essence in time.